Treat yourself to a 5 Session Wellness Retreat for Physical, Emotional, and Spiritual Health located in Alajuela, along the skirts of the Poás Volcano in Costa Rica. This eco-friendly wellness center offers a variety of holistic and spiritual healing sessions that will reawaken your divine spirit grounding your mind, body, and soul. Healing sessions are led by skilled spa therapists and selected holistic practitioners from around the world. Enjoy a swim in the regulated ionized swimming pool, mindfulness in the yoga and meditation pavilion, ancient therapeutic treatments such as Reiki and Aromatherapy, and Hydrotherapy treatments with Vichy and Scottish showers, a flotation pool, and a Hammam. This wellness center has been certified for Sustainable Tourism for being built with sustainable materials, the use of solar thermal collectors, natural ventilation and lighting, and the preservation of the surrounding wildlife and environment. Flotation Therapy- This form of hydrotherapy takes place in an enclosed pool, without light, immersed in body temperature water made buoyant by the addition of sea and Epsom salts. This practice intimately connects your body and mind and induces an extremely deep state of mental and physical relaxation allowing you to tune into your heartbeat and breathing. The benefits of flotation therapy include reduced stress & anxiety, better sleep, and enhanced creativity. 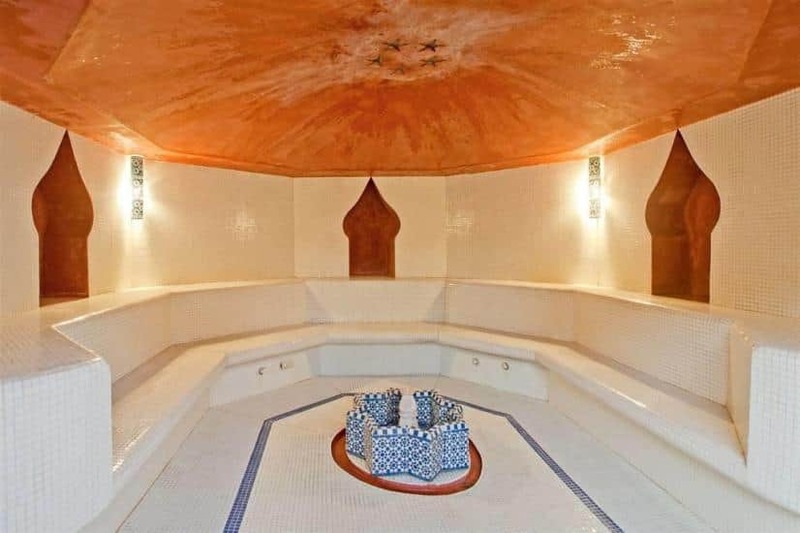 Hammam- This steam bath in a real Arabic Hammam cleans and heals the respiratory system, cleanses the epidermis from impurities and dead cells, and also improves blood and lymphatic circulation. This treatment is recommended to be used before a body exfoliation and/or body wrap treatments followed by a massage. As per internal regulation of International Airport passengers must be 3 hours before departure time. Dream Your Journey as a tour operator is not responsible for any accidents during the entire itinerary. We strongly advise that you have ample travel insurance, medical, and accidental during the entire trip. We are not responsible for theft or loss of luggage and personal belongings during the entire period of the tour.